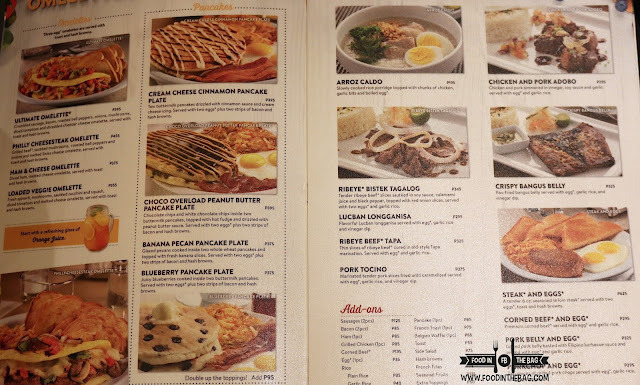 DENNY'S OPENS TOMORROW in BGC! 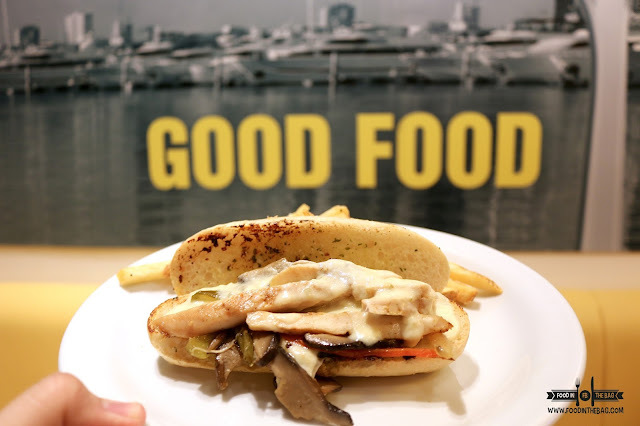 And another one enters the Metro Manila dining scene. Starting OCTOBER 7, 2016 FRIDAY at 6 am DENNY'S would be open to the dining public. Closing time? None whatsoever. For it is open 24/7. For quite some time, people in the industry have been talking about this particular diner opening up in the metro. 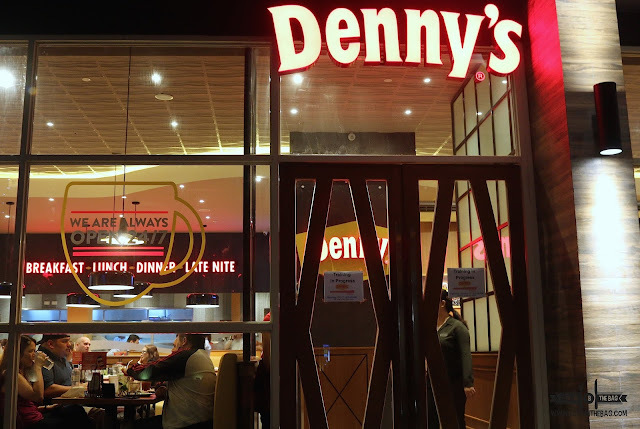 After a few years, a sign of life emerged when a restaurant space was covered with tarpaulins that had the DENNY'S LOGO! 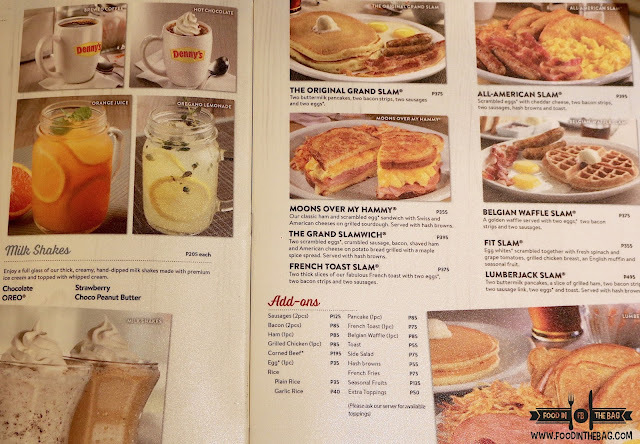 Thankfully, DENNY'S in BGC is now open. 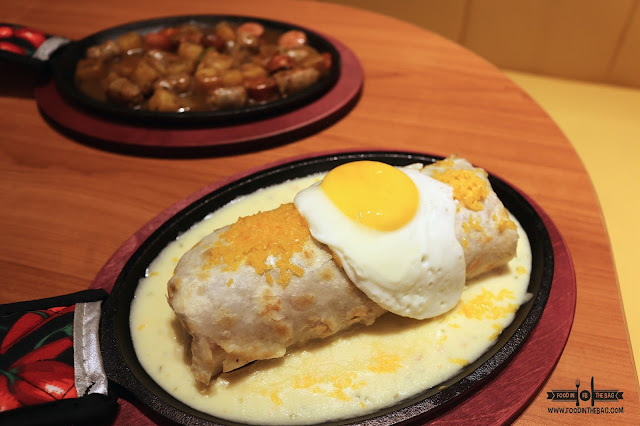 Located in BGC UPTOWN PARADE and right beside the Palace Pool Club, DENNY'S is the perfect after party place to sober up. 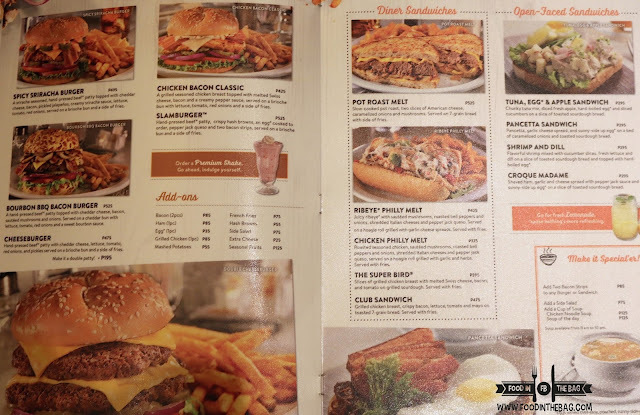 Being a family friendly diner too, DENNY'S serves not only breakfast items but also Filipino favorites and some late night snacks. 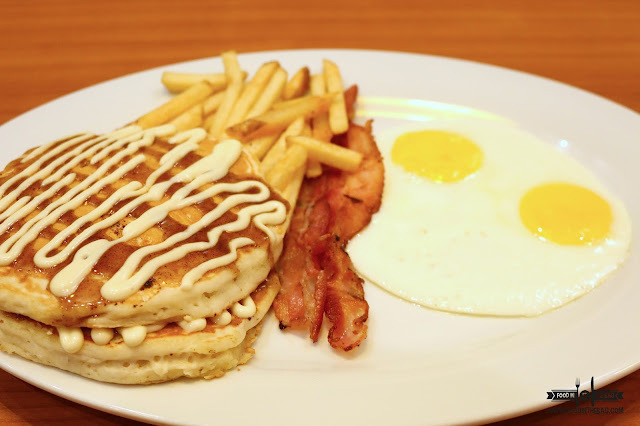 Breakfast lovers would enjoy their PANCAKES. One of them would be this CREAM CHEESE CINNAMON that was served with salty bacon and egg. The pancake was soft and had a sweet touch. It went well with the bacon because of the contrasting flavors. 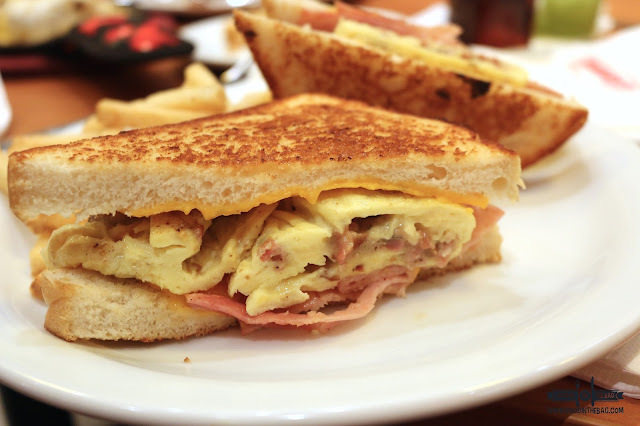 For something a little bit more "light", the GRAND SLAMWICH would do perfectly. Scrambled eggs, bacon ham and a potato bread grilled with maple spice syrup. This particular bread is an amazing touch. 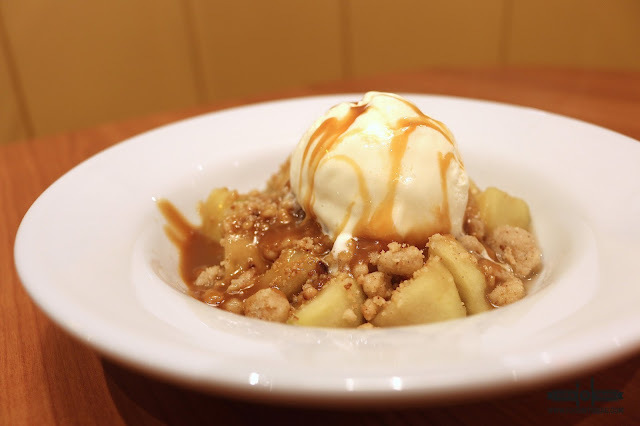 One could definitely devour it even without sides. 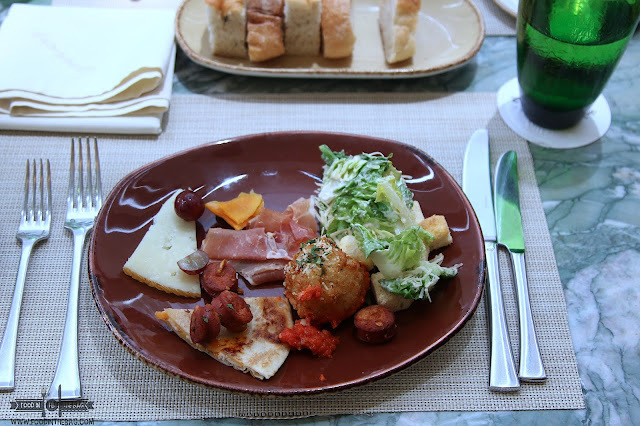 It could be noted though that some of the dishes were modified to suit the Filipino palette. 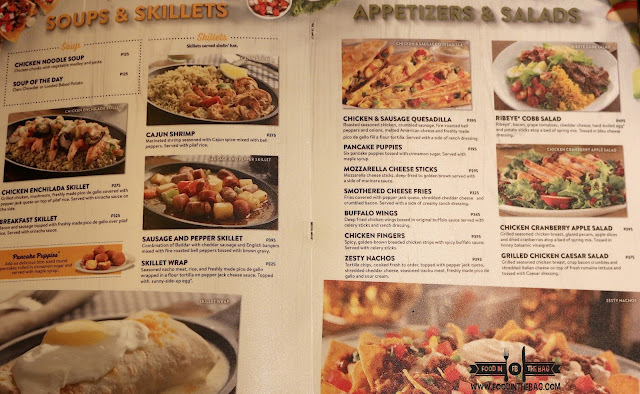 A couple of dishes that were somewhat different would be the SKILLET WRAP and the SAUSAGE and PEPPER SKILLET. The skillet wrap has seasoned nacho meat inside and is covered with a sunny side egg. A combination of sausages makes up the other one. 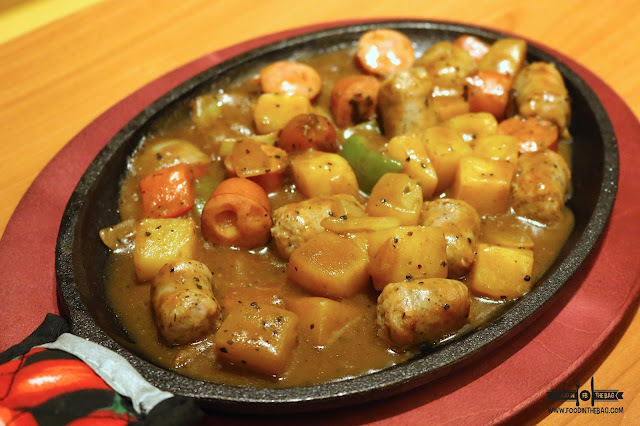 To make it a bit different, a mix of BEDDAR, CHEDDAR and English Bangers were used. Afterwards, gravy was poured all over. Describing it "a bit hot" would be an understatement, the SRIRACHA BURGER is named appropriately. This one right here can make your mouth flare up. 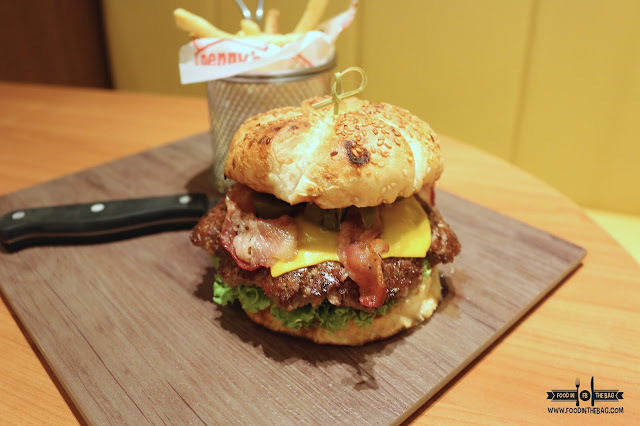 Seasoned with sriracha and accompanied by pickled jalapenos, the burger is a must try. 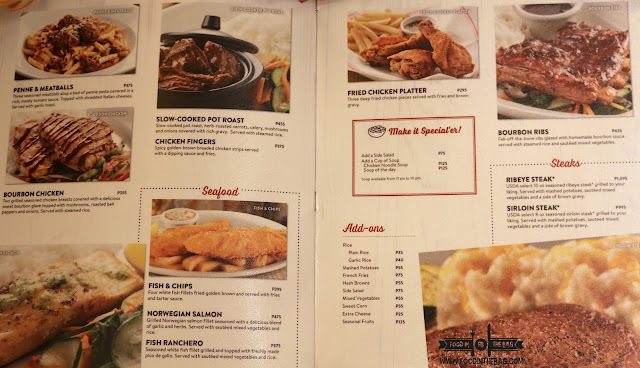 Surprisingly, the prices of the dishes are quite affordable compared to other restaurants that are serving the same thing. Taste wise, it was a welcome treat. The dishes could definitely make your day. 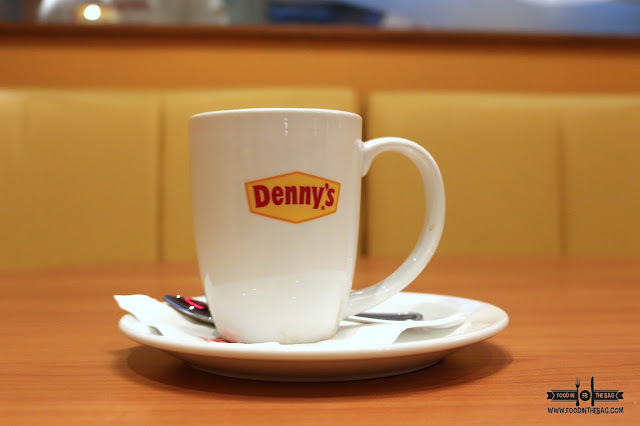 "Denny's open its doors to the public on OCTOBER 7, 2016 at 6am and is 24/7"
Also... from 6am-12pm on October 7, Bistro Card Members get 40% off. Right beside Palace the Pool Club. Protip: Park at the back near Palace. They have a door facing the parking lot. Disclaimer: Wrote this based on my experience. Was invited to try out the dishes. Menu posted may change with or without prior announcements. Posted here just to give you an idea of the prices and what to order. Please check their page for any other details.